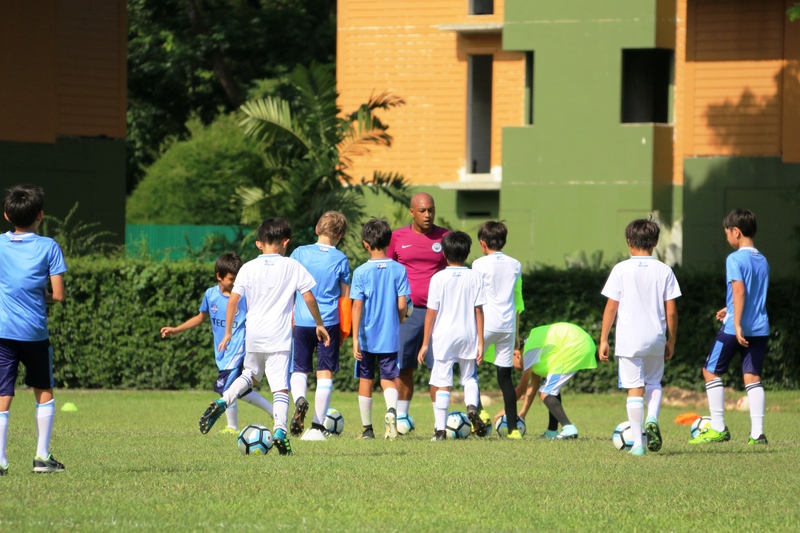 Prem Tinsulanonda International School in Chiang Mai Thailand was delighted to welcome Manchester City coaches on campus for five days from 2 – 6 June 2018, which included twelve hours of a free football camp for our young footballers. Arranged in conjunction with Manchester City, Tecno Mobile, and the Prem athletic department it all started with Premier League legend Shay Given visiting Prem. Shay who was very down to earth ran a question and answer session for our players, posed for plenty of pictures and took part in a penalty shootout. From Sunday to Wednesday, 44 of our 8-11 year players were lucky enough to get coaching from two Manchester City coaches who had flown over especially for this camp. They both have many years of coaching at the highest level and our players really enjoyed their drills and games. Our young players worked really hard and hopefully, we will see a big step up in their skill level and love of the game. Thanks to Manchester City and their coaches, it was a great experience for all involved. Prem Grade 6 Camp Week: An Unforgettable Experience!